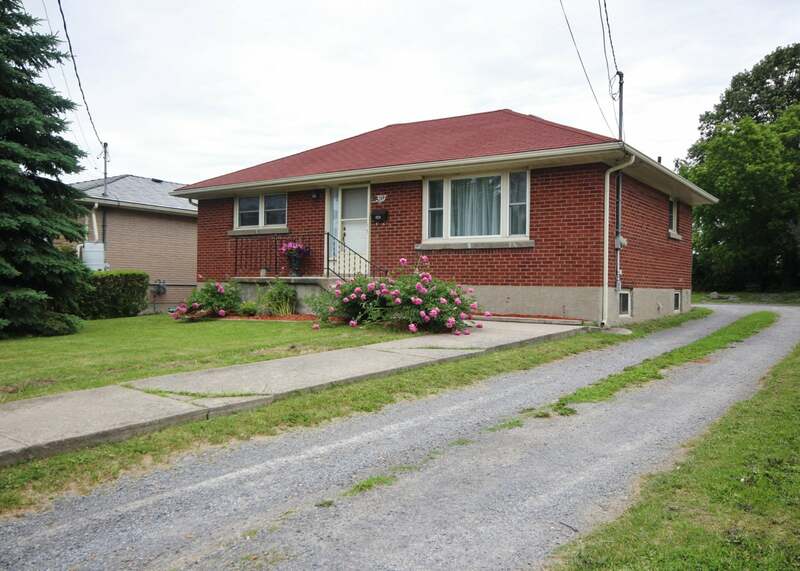 All brick detached bungalow on spacious 55 x 196 ft lot. Freshly painted and featuring tile entry, 3 bedrooms with hardwood flooring and beautiful bright living room with cove mouldings and newer laminate flooring. Eat-in kitchen, main floor laundry, 4 piece main bath and more! Large deck at rear to parking pad and backyard with storage shed. Furnace and central air updated in 2009. Updates to windows, roof shingles and electrical (breakers). All this plus ideal location with easy access to shopping, downtown and 401.